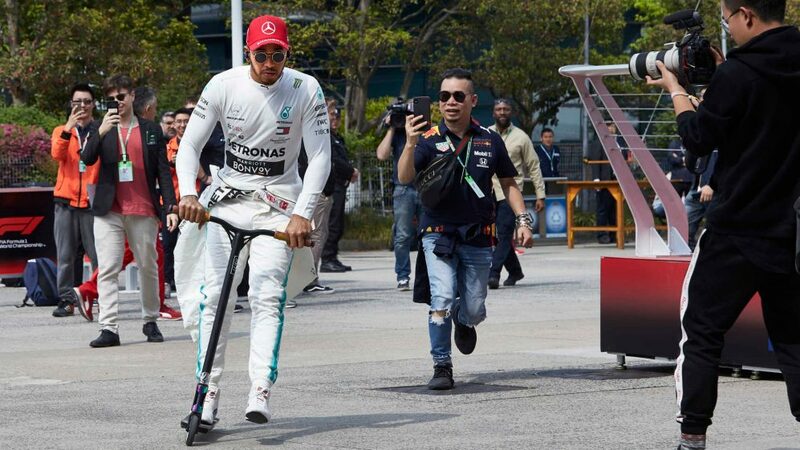 The back story behind Mercedes having to modify its new front wing before practice began in China is a perfect illustration of how hyper-competitive the teams are at finding even the tiniest advantage in their interpretation of the rules. It also showed how just the slightest leeway given by the governing body to one team will be jumped upon by the others if they believe there is an advantage. 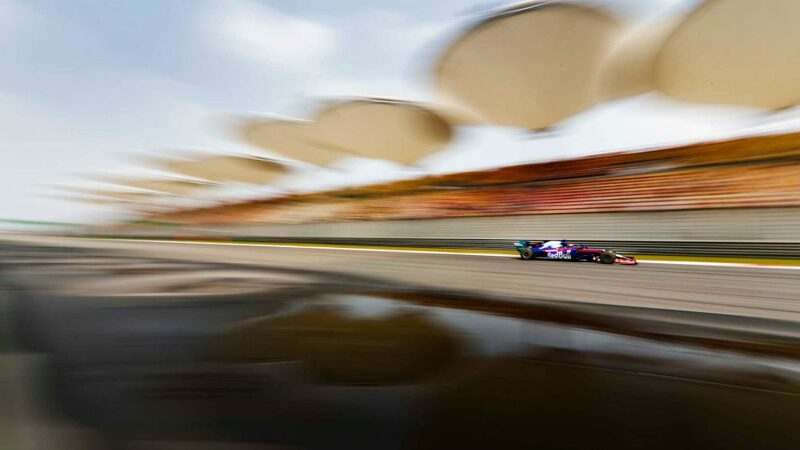 On the Monday prior to the Chinese race, a technical directive was issued by the FIA that specified how it would be defining a detail of the front wing endplate regulation so as to leave no ambiguity among the teams. The relevant regulations were article 3.3.5 and 3.3.6 (the relevant parts shown at the bottom of this article, with the crucial section highlighted in bold) detailing the intersection between the endplate and the wing’s elements. The reason why the directive was issued was that in Bahrain, Red Bull had taken advantage of a dispensation given to the Williams team in Australia for the first two races. 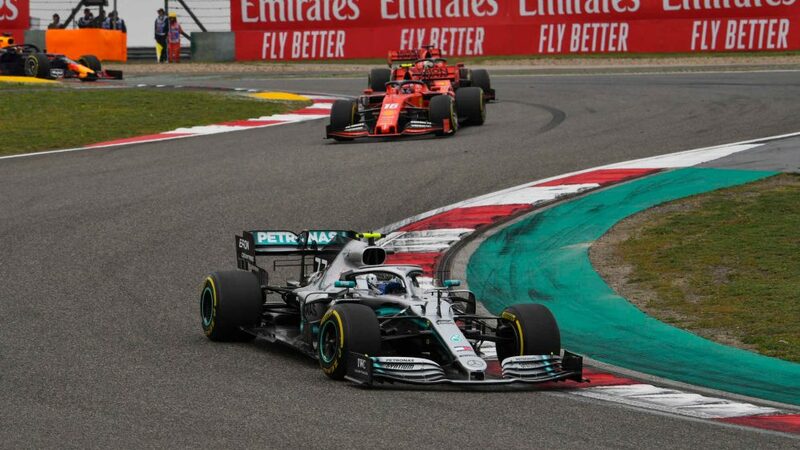 Meanwhile, Mercedes had already incorporated that same ‘dispensation’ interpretation in the design of a new front wing it was to run on the car in China. The technical directive essentially stated that where the endplate meets the elements should define the end of the elements – i.e. 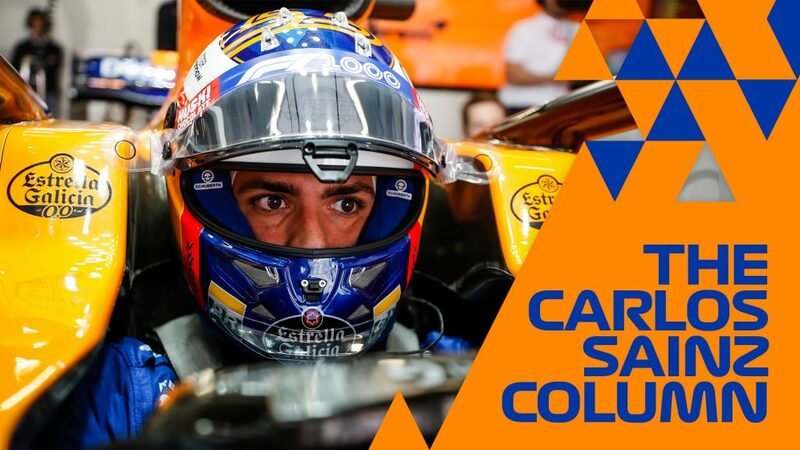 the elements cannot continue past and out the other side of the endplate (even though those elements may still be in the zone that defines how wide the front wing and its elements can be). The regulation could arguably have been read in a way that allowed the elements to run to the regulation wing maximum width. This is indeed how Williams read the regulation when designing the original front wing of the FW42 and the elements extended 5mm past the ‘virtual endplate zone’. 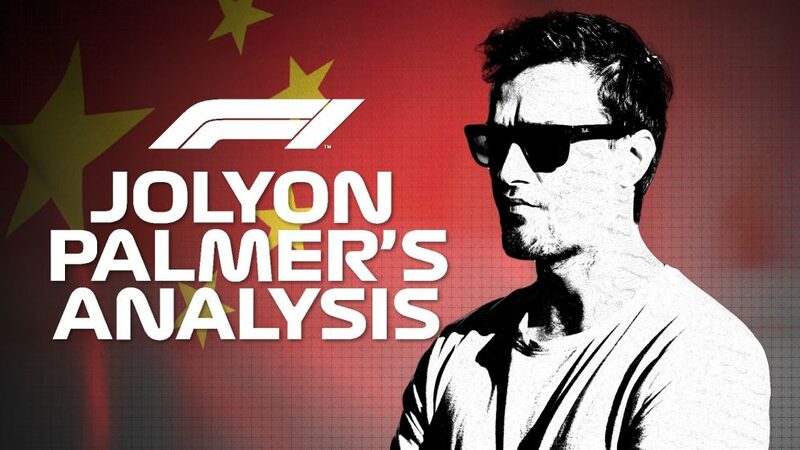 But when the team arrived in Melbourne, the FIA confirmed to it that this was not the correct reading. 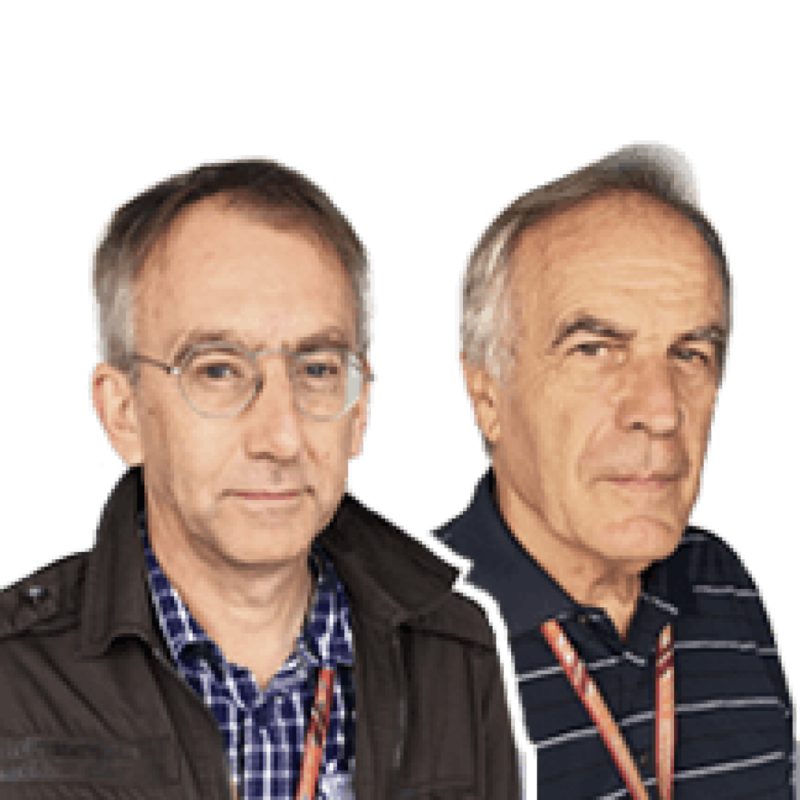 But such was the late completion of the car, with the factory working flat out producing desperately-needed spare parts, that the FIA gave Williams the two-race dispensation. 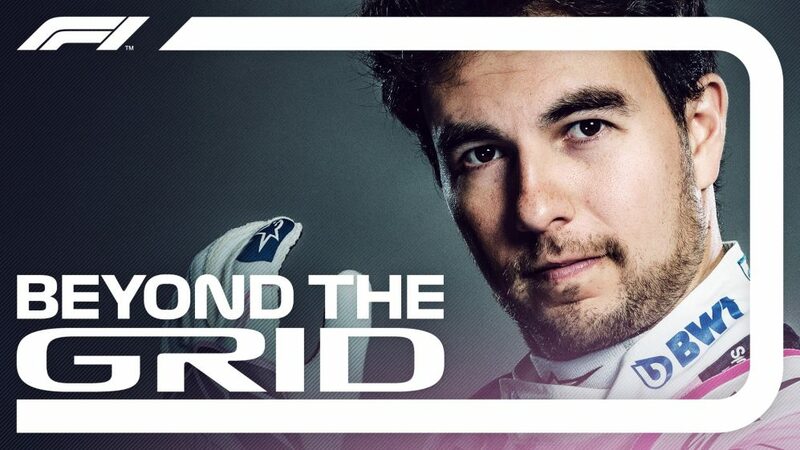 The dispensation was not publicised and Red Bull, noting the Williams interpretation, produced its own version of that interpretation which was raced at Bahrain. 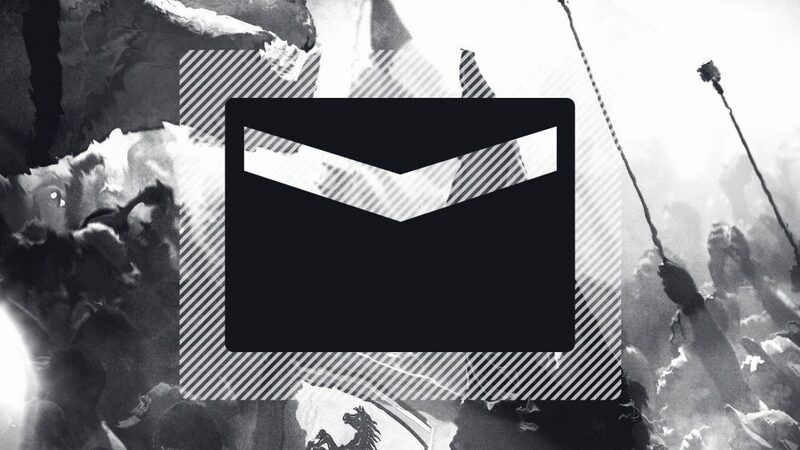 This can seen in the drawing above, with the arrow indicating the tiny part of wing element that extended beyond the endplate. 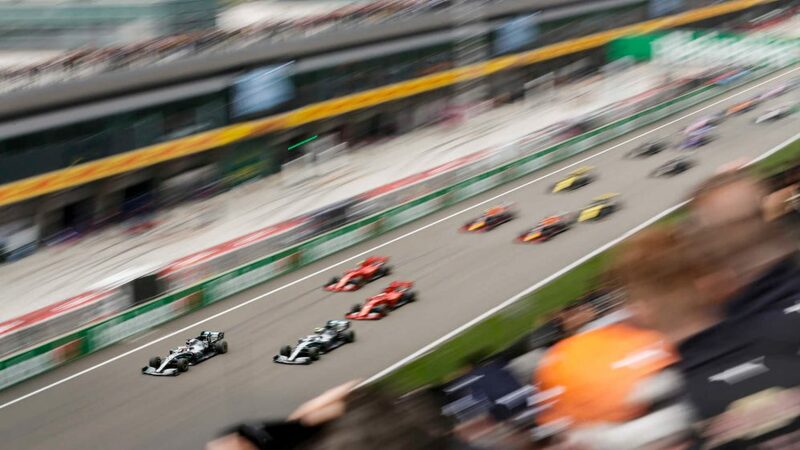 Mercedes, in turn, incorporated this interpretation into the new wing it brought to China. 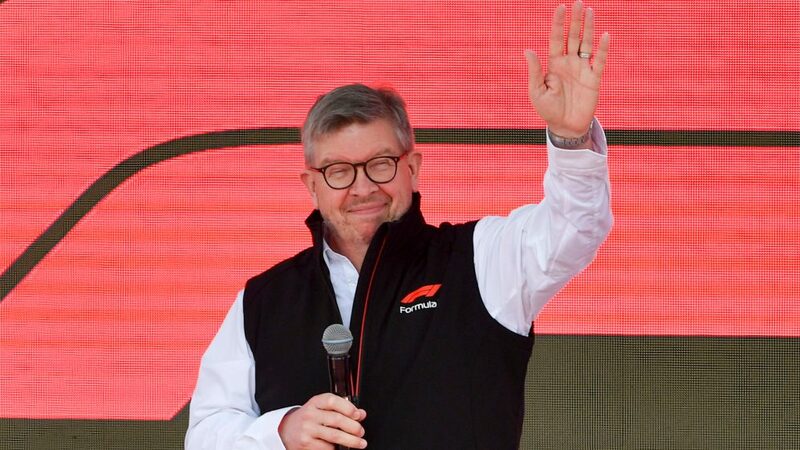 By the time the teams arrived in China however, the technical directive had been issued. 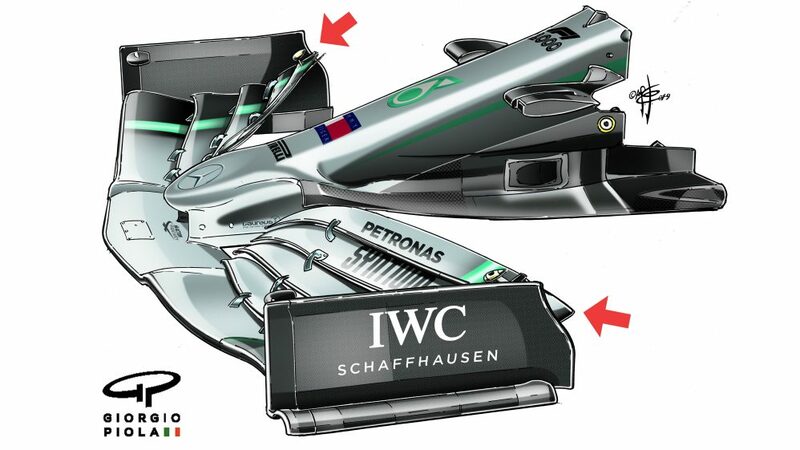 Hence Mercedes were obliged to trim the offending wing element sections back – as shown in the drawing below, with the dotted line showing where the previous extremities of the element had been. 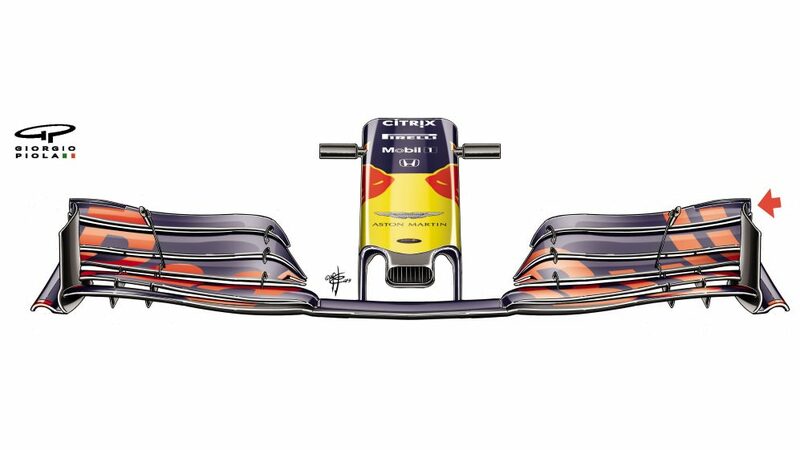 Williams and Red Bull had already modified their China wings in accordance with the technical directive. 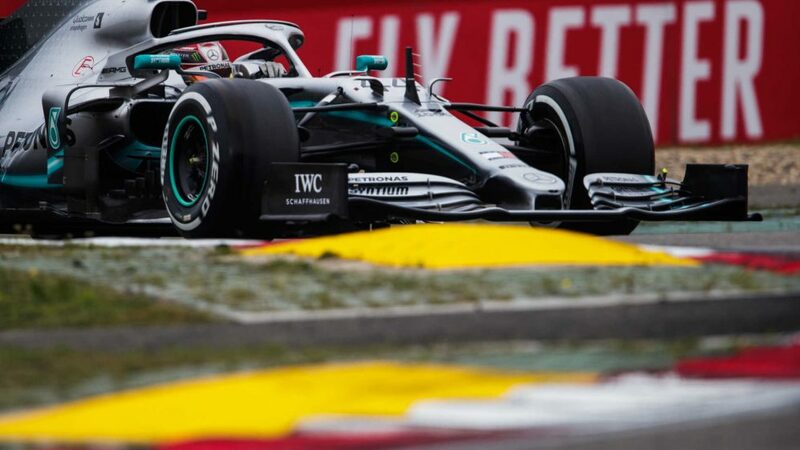 The Mercedes front wing differed from that used in Melbourne and Bahrain by much more than just the tiny extra corner of element area. 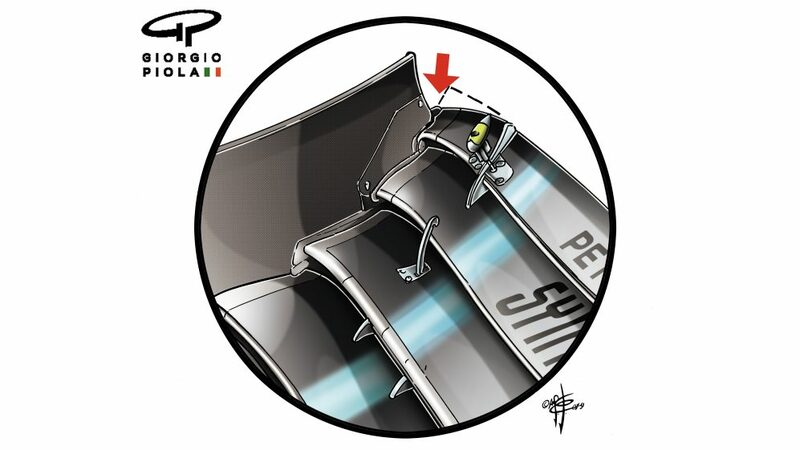 The endplate itself was extensively re-shaped at the rear outer corner, with a new curved fallaway section replacing the rectangular cut-out that had been introduced in Week 2 of Barcelona testing (see the drawing below). This was in concert with a less extreme upsweep of the bottom element. 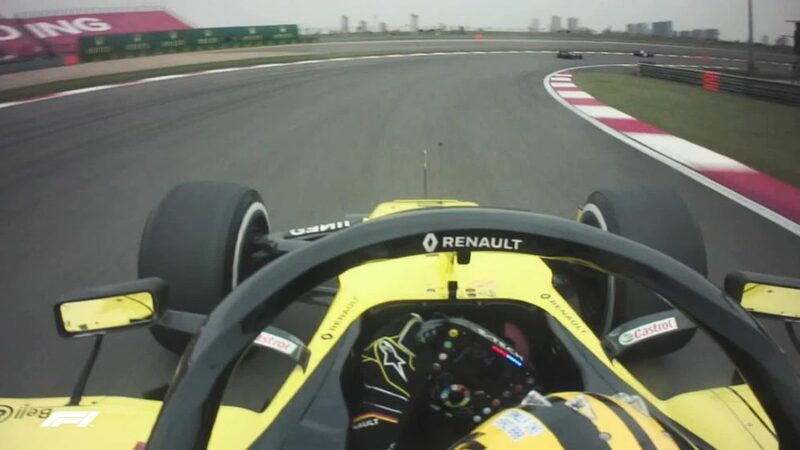 This may have been designed to take fuller advantage of the slightly increased rake the car was running in both China and testing in Bahrain, as the increased angle of attack of the wing brought about by the higher rake will have changed the airflow pattern around that section of wing significantly. 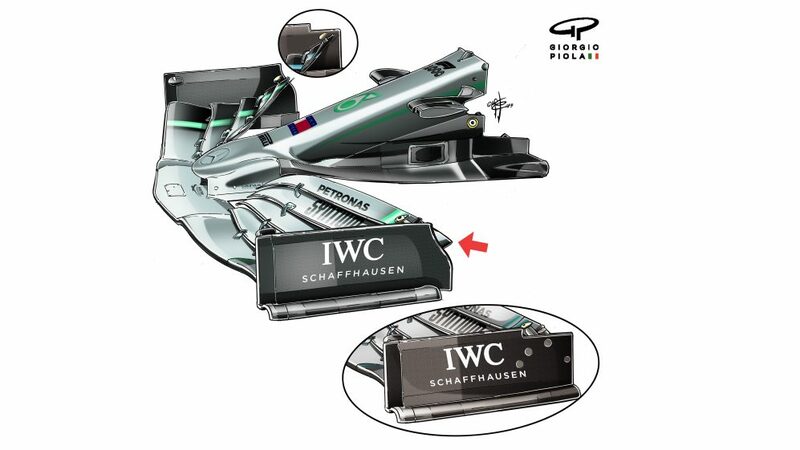 The advantage of the extra area of wing element would have been tiny – but any advantage is maximised by default in F1. 3.3.5 A mathematical surface (referred to as the “virtual endplate surface”) must be constructed in order to subsequently define the endplate. 3.3.6.f Once the inboard and outboard profile surfaces have been defined, blending surfaces must be defined to join the profiles together. These surfaces must lie within the volume of the single, inboard profile surface, and entirely within the transition volume. Once these minimal transition surfaces have been defined, the original overlapping surfaces of the inboard and outboard profiles must be trimmed accordingly.